Hop into a 2 nights' family break in one of our deluxe family bedrooms from only £150.00 per night. Bed time milk and cookies each night for the kids. Sign up to "Make it Maldron" to receive a further reduction of £10 per night. Game of Thrones TM: The Touring Exhibition, will make its debut visit to the Titanic Exhibition Centre in Belfast from 11th April to 1st September. Why not enjoy an overnight stay at Maldron Hotel Belfast City including dinner before you explore the TEC from only £80.00 per person sharing. Main course adult dinner in our Grain and Grill restaurant. Tickets into the Game of Thromes TM:The Touring Exhibition. *You can upgrade to an Executive room for an additional £30.00 and enjoy our complimentary full Sky Package. Enjoy a 2 night stay at Maldron Hotel Belfast City including complimentary shopping vouchers from only £130.00 per person sharing. £15.00 voucher for each guest to spend at Victoria Square shopping centre. Explore the ship of dreams with Maldron Hotel Belfast City! Enjoy an overnight stay including breakfast and visit the world-famous Titanic Exhibition and the SS Nomadic from only £70.00 per person sharing. Tickets to the Titanic Exhibition and the SS Nomadic. Terms and conditions apply. Children's prices may vary. 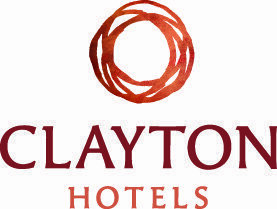 Enjoy a relaxing night stay at Maldron Hotel Belfast City from only £140.00 per couple. Fancy a night of fun! Grab your friends and celebrate a night of freedom at Maldron Hotel Belfast City from only £90.00 per person sharing. A fun filled welcome pack for the organiser.